Weather – Nice beach weather. Sunny and warm, but breezy. No humidity. Perfect get-away if it’s raining or snowing back home where you’re from! Water – Getting cooler and rougher. Some days very windy. 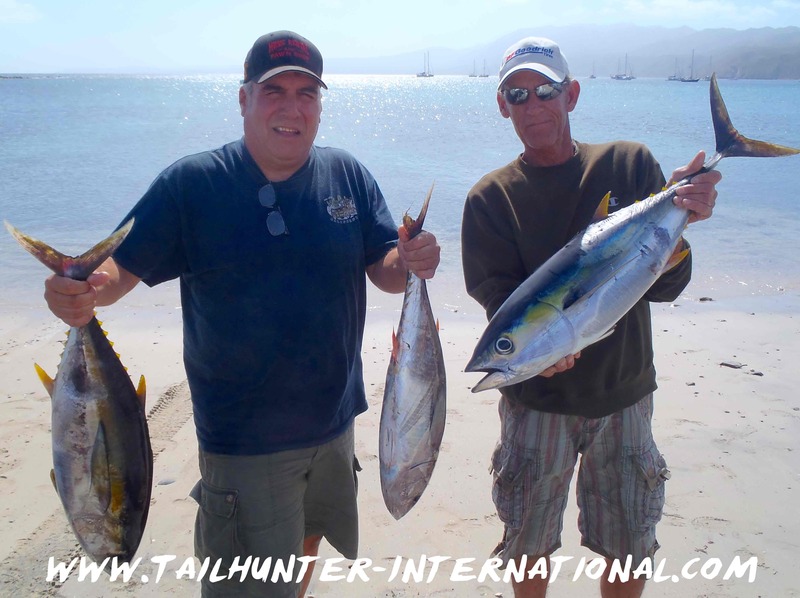 Fishing – Surprising that we still have bluewater species like dorado and tuna around! 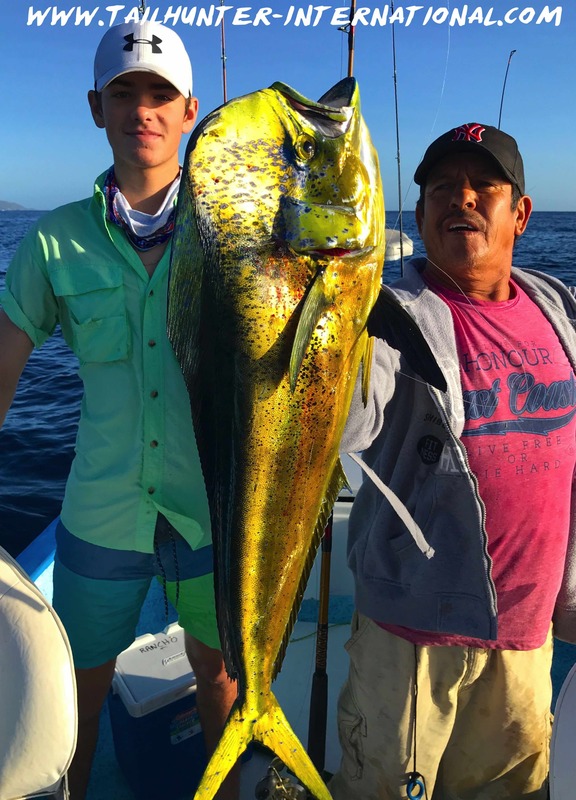 Miles Wagner from Colorado Springs CO staying at his dad’s place in Muertos Bay at the Rancho Costa Hotel, put this big-headed bull dorado into the boat just outside Muertos! 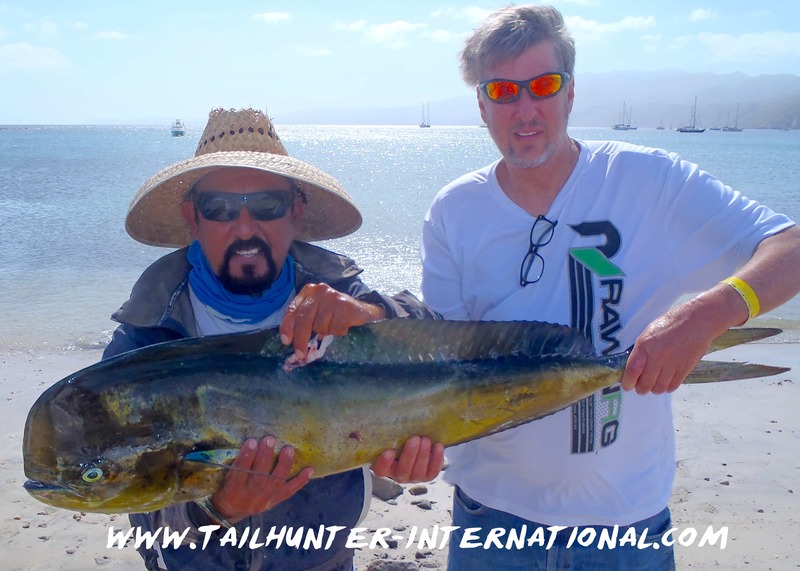 Kevin Shiotani from Thousand Oaks CA makes several trips a year to fish in La Paz and always does well. 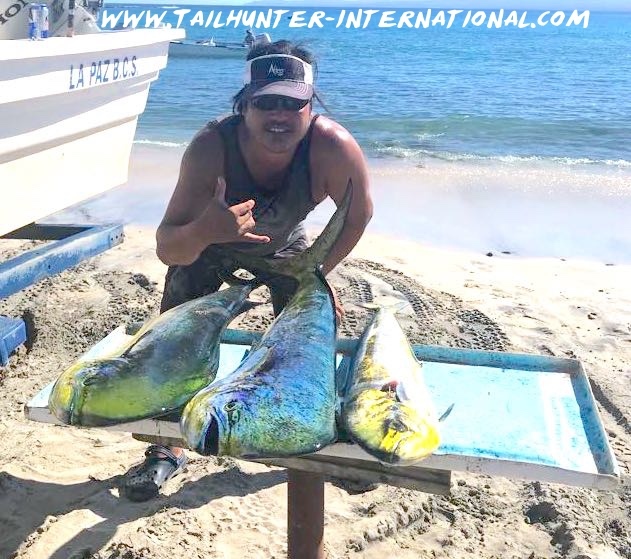 He poses with three nice dorado on the beach at Bahia de los Muertos. Todd Stumpy and friends found some tuna and dorado fishing with us on a calm day in Muertos. Surprising to find tuna and dorado still around! Headed for the grill, Captain Jorge stuck this dorado! 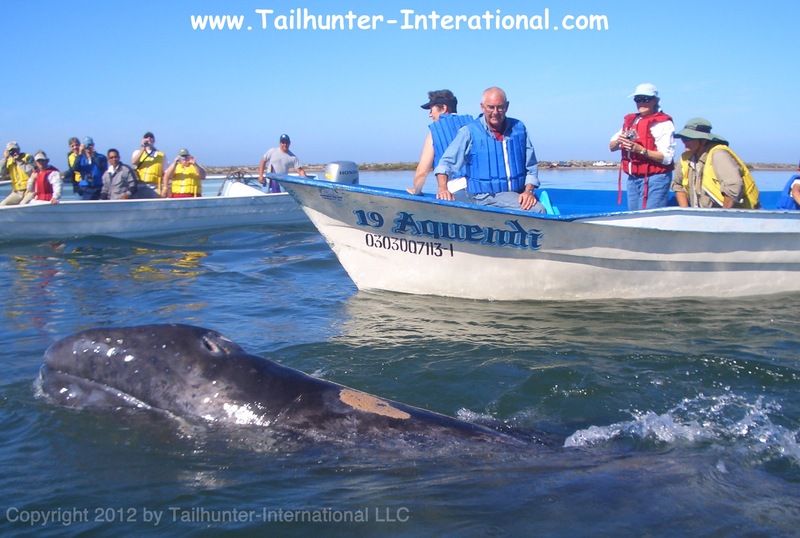 Lots of bookings coming in for our upcoming whalewatching season that starts in January and goes through March. Get in touch with us and we’ll set up a whole package for you and the family! Contact us soon. Makes a great Christmas present! Not many fisher-folk in town right now. This is that “lull” between the holidays and it’s a really nice time to be in town. Sunny and relatively warm and good beach weather although not always great to be on the water fishing because it can still be windy and rough. 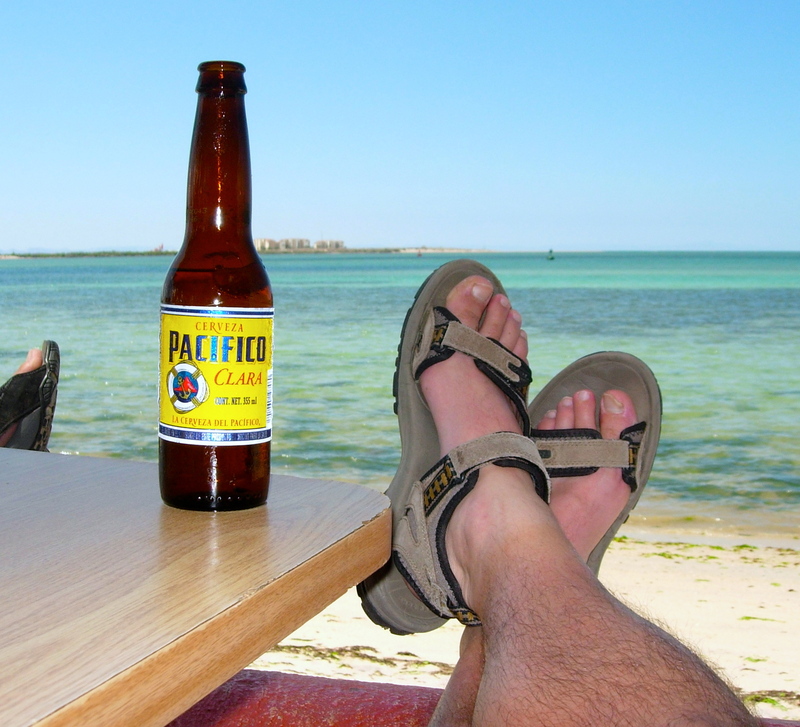 But, onshore it’s really pleasant and compared to other places in the world where winter is already hitting, La Paz is a great place to be. Best of all, in-between holidays is one of my favorite times. No one is here! It’s almost like the clock got turned back about 20 or 30 years! It’s really quiet. There’s a few snowbirds around, but not quite yet and the boulevards and streets are empty sometimes and it’s just the ocean and palm trees and a good time to hang out in a restaurant or read a book! As far as fishing, in between bouts of winds, this past week wasn’t too very bad, but like I said, not many folks are fishing. This coming week, the forecasts call for some very strong double-digit winds. However, for the folks that did go out, the best fishing was from Muertos Bay where it’s a bit more protected and fish are closer. Given the time of year and winter conditions increasing, surprisingly the fishing isn’t bad. In fact, there’s still some nice dorado hanging out and remarkably some of the dorado are larger than the ones we were getting during the regular season. There’s also some billfish hanging out and scattered tuna here and there. Besides the winds, the biggest issue is getting live bait as the waters get colder and waves batter the areas where we catch the schools of sardines. So, we’re relying on lures and dead bait like calamari which will become more prevalent as we head into winter. Still, it’s nice to get warm-water species this late in the season. Inshore, there’s jack crevalle, small cabrilla, sierra, bonito and snapper for the light tackle folks which are a lot of fun.